As a speaker, few can match the impact Bill Clement has on his audiences around the world. Drawing from his experience as a business owner, entrepreneur, actor, broadcaster, and two-time Stanley Cup champion, this inspirational autobiography, with a foreword by Wayne Gretzky, recounts many of Clement's successes but is also brutally honest about his failures and having to rebuild success after complete financial and emotional defeat. 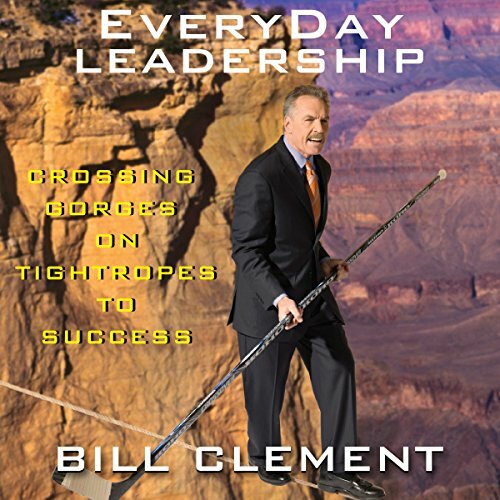 Love the stories of Bill Clement’s life as a professional hockey player, business man, broadcaster and an everyday leader! I definitely implement the same principles about the tightrope and how to navigate through the gorge. Can’t wait to see speak live! Must read and listen! Five Stars!